The 2016 PHILIPPINES-KOREA CULTURAL FESTIVAL is an annual event organized by the United Korean Community Association in the Philippines (UKCA) in partnership with other local groups & communities in the Philippines such as Arirang Town Philippines. This year, the Philippines - Korea Cultural Festival will be happening at the Cultural Center of the Philippines Main Theater in CCP Complex, Pasay City on October 15, 2016. The event is expected to be once again flocked by Koreans and Filipino Korean culture enthusiasts who are ready to witness amazing performances on stage. The highlight of the Philippines - Korea Cultural festival is the Cultural exchange competitions where Pinoys and Koreans battle it out on stage through cultural exchange competitions. This year's guests that will grace the event include Pinoy artist Derrick Monasterio, Korean singer Yohan, and KPOP group The King. Celebrity hosts Robi Domingo and Dasuri Choi will be this year's festival MC. 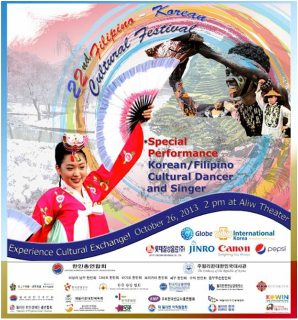 The Talent exchange competition where Filipinos need to perform Korean song or dance performances and Koreans need to perform Filipino song or dance performances are the highlight of this year's festival and The 2016 Philippines - Korea Cultural Festival serves as the venue for the competitions final performance. Thank you to everyone who joined our ticket giveaway! 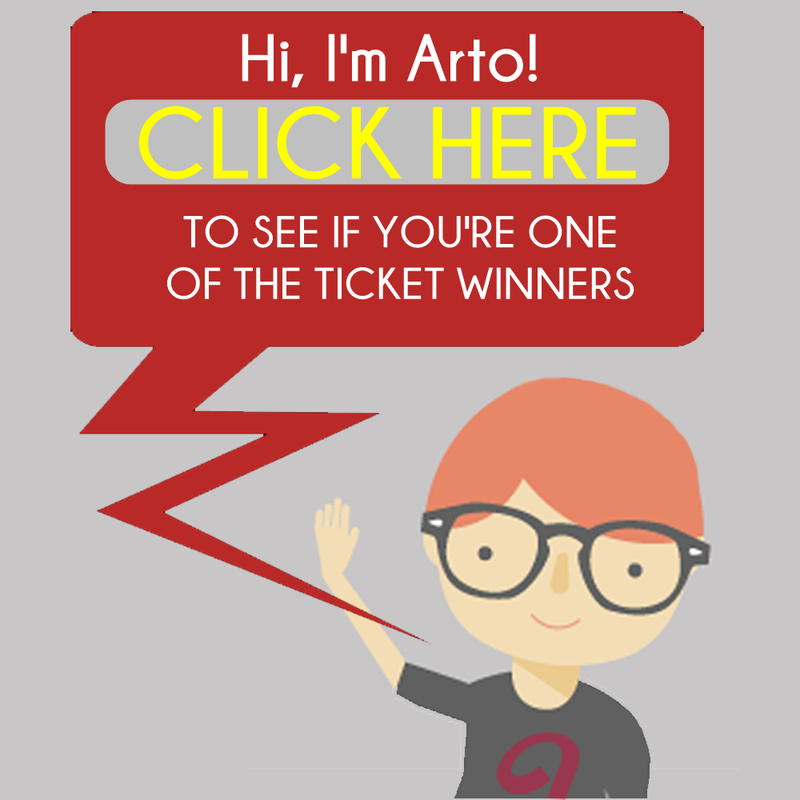 ​Click the image below to see our complete list of ticket winners.